1) Schedule Posts In Advance – There are many ways you can schedule posts for Facebook. One being Facebook itself. You have to be sure to have set the date you created your Facebook Page in order for the scheduling option to be available. In one sitting you can schedule all of your posts for a week or two. If you have a special event coming up you’ll definitely want your posts scheduled in advance to ensure you give yourself more time to concentrate on the event. You can also use other platforms to schedule your posts such as HootSuite, Market Me Suite, Sprout Social or GroSocial and many more. When you use a scheduling tool you make sure your Facebook Page is active even when you are busy with other tasks in your business. 2) Create Posts That Encourage Sharing – Ask questions, it’s a great way to ensure your posts are visible on friends of friends newsfeed. Depending upon the Privacy Settings of your fans their response to your posts may be displayed in their friends newsfeed. The great way that many people overlook is simply to ask people to share your post. Remember it must be engaging and worthy of sharing. The best way to catch people’s attention is to always use pictures. It is THE BEST way to get people to stop and look! 3) Use Tools to Gather Email Addresses – I have discovered a great tool that allows you to create a post that collects an email address and send it to your autoresponder without ever having to leave Facebook. It is called Splash Post. You can create two types of posts Email Gate or Share Gate. Your fan has two options, they either enter their email address or share your post on their wall. The beautiful part is these posts can also be created in advance and scheduled. I have since discovered another tool called My Post Magic. 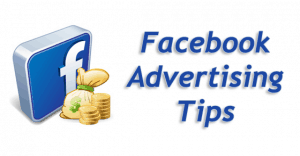 Bonus Strategy ~ Use Facebook Ads – There are two basic ways you can build the fan base on your Facebook Page; organic or paid. I highly recommend using Facebook ads if you want to get any traction. I spent a whole year working very hard and diligently on my Facebook Page and was very excited to be at 650 fans. Then I discovered just how effective Facebook ads can be and I haven’t looked back. You don’t have to spend a ton of money, you can start with as little as a dollar per day. and build from there.